Rohit Sharma and Quinton De Kock gave a brilliant start to the Mumbai Indians innings after Ajinkya Rahane won the toss and elected to bowl first. It was a good batting wicket at the Wankhede Stadium and the Mumbai Indians openers made full use of the conditions and scored freely in the first 10 overs. Mumbai’s first wicket fell at the score of 96 when Rohit couldn’t middle one, and was caught at long-on off Jofra Archer’s bowling. After Rohit’s wicket, Rajasthan came back into the game and restricted the flow of runs. This resulted in a middle-order collapse, but Hardik Pandya once again rescued Mumbai Indians, adding 28 runs off just 11 balls to take the total to 187 in 20 overs. So let's put on the captain's hat and try to figure out why Mumbai Indians lost. Surya Kumar Yadav was sent in to bat at number three, which was a defensive move by Mumbai Indians. The platform was set for someone like Hardik to come in and take the game away from Rajasthan Royals. Mumbai Indians bat very deep and it was an ideal situation to send in Hardik, who is in outstanding form. So the best option would have been to allow him to play the extra balls which he usually doesn’t get to play. Mumbai Indians could easily have taken that luxury because they have the likes of Kieron Pollard and Krunal Pandya batting down the order. In T20 cricket, it is very important to seize the moment and keep attacking the opposition when you are in a strong position. Although Surya Kumar is a good batsman and has been batting well in IPL 2019, a 30-ball cameo from Hardik would have changed the entire complexion of the game and put Mumbai Indians in a very strong position at the end of their innings. The Rajasthan Royals openers responded very well and added 60 very quick runs for the first wicket. 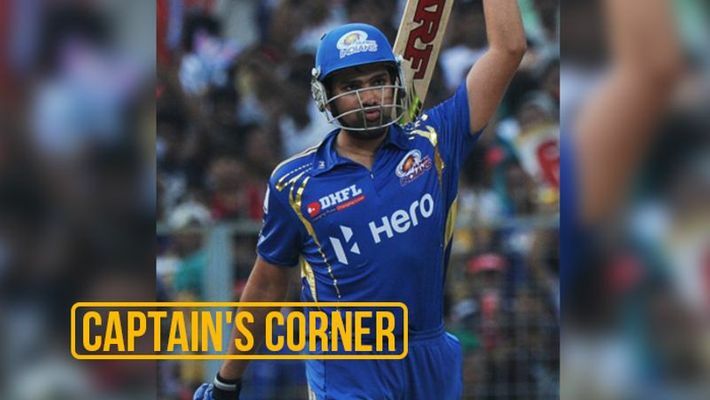 Rahane and Jos Buttler dominated Mumbai’s inexperienced new-ball attack and gave a good start to the Royals. After the fall of Rahane’s wicket, Buttler changed gears and blasted the Mumbai bowlers all around the park. He scored 89 runs off just 43 balls and strengthened Rajasthan’s grip on the game by not allowing the opposition bowlers to settle down. But when Buttler departed in the 14th over, Mumbai Indians came back into the game and took four quick wickets — Sanju Samson(31), Rahul Tripathi (1), Steve Smith (12 ) and Liam Livingstone (1). Rajasthan Royals’ middle order collapsed but Shreyas Gopal (13*) held his nerves to take his side home in a tense situation. Bumrah bowled very well and took two wickets for just 23 runs in his four overs. He bowled brilliantly in the last four overs of the game and made things difficult for the Royals. However, Rohit Sharma’s decision to not use him with the new ball was a very surprising one. Rajasthan Royals are top heavy and Buttler is, mostly, their key man. Rohit should have given at least one over to Bumrah to have a go at Buttler and attack the opposition's best batsman with his best bowler. A couple of early wickets could have put Rajasthan Royals' young and inexperienced middle order under pressure and this is where Rohit missed the trick by not using his best bowler Bumrah, who is arguably the best fast bowler in limited-overs cricket at the moment.